One of the primary objectives of any small business is to grow and expand in a way that supports both your employees and clients alike. How can you make sure your business has the correct resources to accommodate such growth? Expansion means more employees. More employees means more space, more offices, desks, chairs, the list goes on. 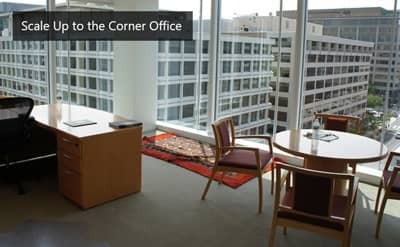 Shared executive office spaces grant you and your business the freedom to expand at your own rate without the pressures of committing to a long-term lease. Here at AdvantEdge, our team works closely with you day in and day out to make sure your business’s needs are met to the highest standards. 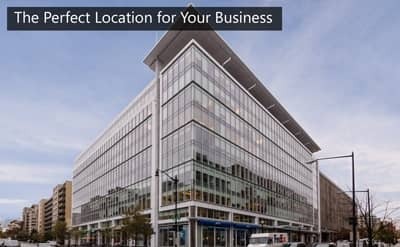 One of the fundamental concerns in opening a new office will be deciding what physical location is best for your company. How will you find a space that is within your price range yet still meets all of your needs? 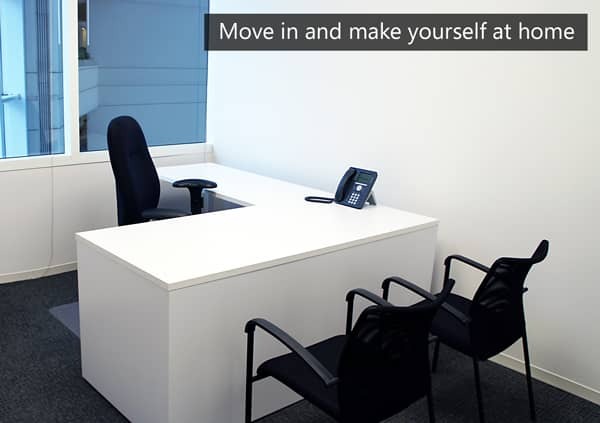 Will this be a space that your company can grow into over time or will you be forced to relocate within a year or two? Choosing to office your business with a shared workspace can be a valuable step towards jump starting your entrepreneurial endeavor. 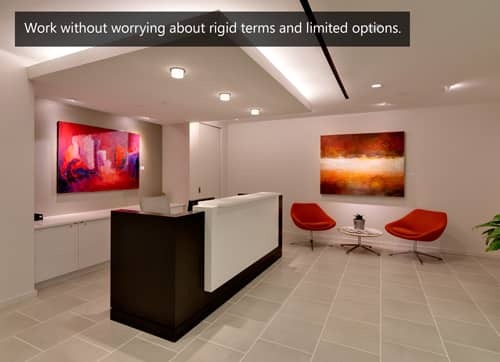 Location is a vital factor in choosing a new office space. Finding the perfect balance of proximity to home, clients, and industry partners can be tough, but the right location can boost your business growth almost instantly. 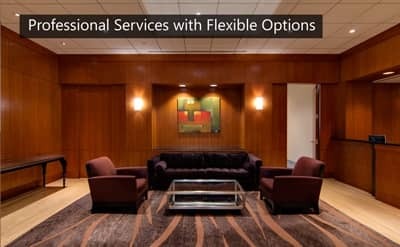 Our easily accessible D.C. area locations are Class A with high-end amenities, providing everything your small business needs within Washington, DC. 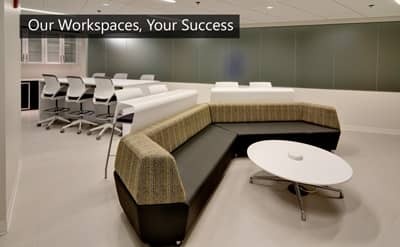 Here at AdvantEdge Business Centers we offer three convenient workspaces in high-end neighborhoods to help give your business the tools to grow. In running and maintaining a successful business, planning ahead is always encouraged. However, this is easier said than done especially when the future is uncertain. In situations like these, it’s ideal to develop plans that are as flexible as possible and to work with people who understand the nature of an ever-growing, ever-changing business. Here at AdvantEdge, our ongoing goal is to evolve with your business and help you succeed any way we can. 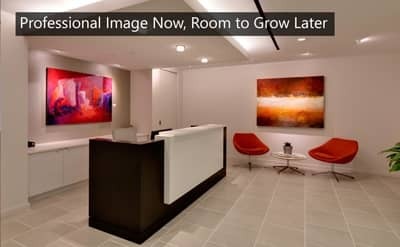 Our job is to help you juggle the seemingly constant internal changes of your office in order to help your business continue to grow over time. You walk into your shared office space on a Monday morning and you notice the peeling paint on the walls and stained carpets as you make your way through the labyrinth of offices. You head to the kitchen to make the first of many cups of coffee and while searching to find a clean mug to use, you accidentally stain your newly-pressed white shirt with drops of coffee that were left unattended by one of your colleagues. Among the many other problems that you already have to deal with, this isn’t a great start to the week. Disheartened by these series of unfortunate events, you drag your feet back to your office and sigh loudly when you finally reach your destination. Yet as you sit down to review the massive influx of emails regarding your company's financial statements, you hear a rather loud crack coming from your unsightly office chair. 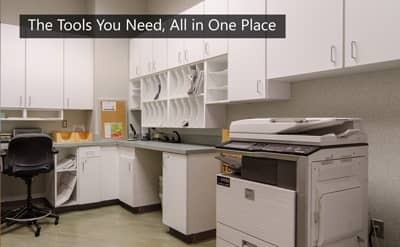 This blog post is part 4 of a series dedicated to helping you find the right office for your business. Follow the links here to read part 1, part 2, and part 3.